The Chi-Athlete: TOLT: How Spinning/Indoor Cycling Makes You a FASTER RUNNER! TOLT: How Spinning/Indoor Cycling Makes You a FASTER RUNNER! Speedwork sesh with the /R/iver /R/unners last night! We hit up Templestowe Pub afterward for some brew and 'za. We demolished two of these. No shame at all. Real talk: the more efficient your gait, the more flexible your joints, the more you train your muscles in a variety of ways (i.e. specificity) = the better you become at running. Or in even simpler terms ---> create the same motion of running and add a variety of resistance, flexibility, and strength to it. The key to being successful at all of this? Being safe, which means you gotta get creative. Or just jump on a bike. 1. Hellooooooooo ------> Active Recovery! The truth about recovery is that more often than not, you still need to move those muscles in a less intense fashion. This is your chance to increase blood flow (which aids in muscle fiber healing), push out lactic acid, and give your joints a lovely massage, if you will. Hopping on the bike or spin bike will help reduce swelling in your muscles and joints. 2. 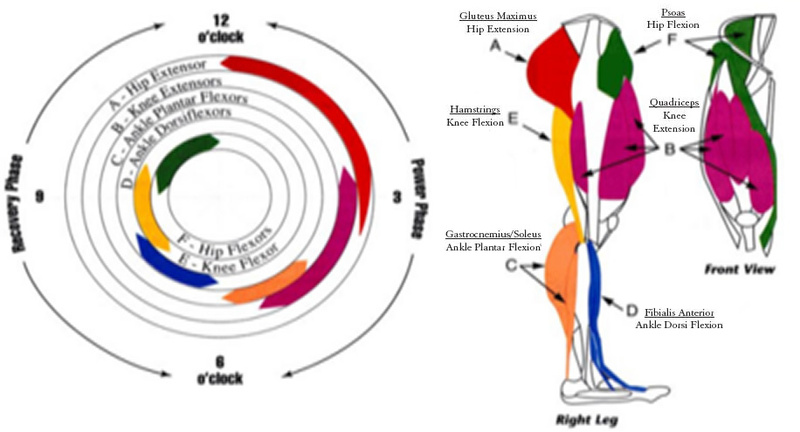 Synergistic (supporting) muscles get more attention. When you *just* run, you work the same muscles, in the same pattern, every time. Even if you're throwing in a good variety of hills and speedowrk, you won't be able to replicate what spinning or cycling can do for your leggies and core. You change the angle of your turnover, as well as the resistance in that angle. Even though you're holding yourself up with the handlebars, the bend from your hips/waist to your shoulders is compromised and allows your core muscles to get some work done. 3. You control your effort. Even if you have an instructor there guiding you through a varied workout of jumps, hills, running out of the saddle, and sprints, you always have control. You can sit and let your legs spin out, or you can join in halfsies on those hills. It's all up to you how much effort you want to throw in, and some days it just feels nicer on the body to take it easy. 4. It's basically a running drill. If you do opt to join in on the sprints (intervals), the hills (resistance), and any work out of the saddle (core work and resistance), you're practically doing running drills "sitting down". 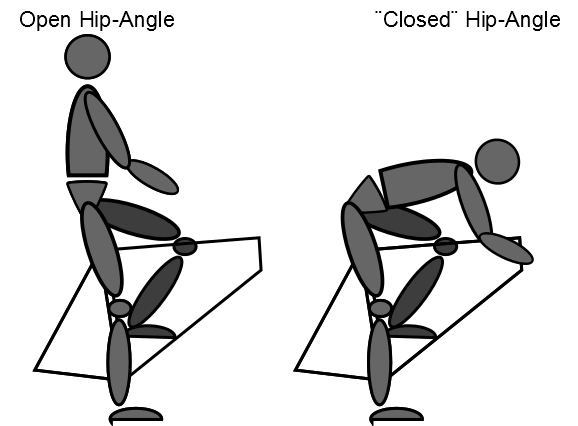 Your hip flexors and glutes activate to produce a faster guided turnover, which will make you more speedy on foot. BONUS: You get a mental break from running. Believe it or not, you need a break from the thing you love most. "Everything in moderation" doesn't just apply to cookies and ice cream. It includes exercise and training, as well! Replace a workout every once in a while, or throw a spin session or bike ride in the day after your long run, and you'll soon see benefits of loving and looking forward to "something else" to do! Thanks to our beautiful hostess, Amanda, for the #ThinkingOutLoud Thursday Link-Up! Your *Brain Hug* for today! Do you cross-train? What's your favorite way to get in another workout? Speedwork: DO YOU HAVE THE NEED? QUICK: Show me your favorite headband! Love me a good pace ladder! Especially one with shorter intervals! WHen I was running my best, I hit up 2 spin classes and 2 yoga classes/week and it was awesome. Now that I'm swimming, I haven't been to spin all year. Boo. I am getting out on my bike now that the weather's being kinder so there's that, I guess. You run club looks so fun! Turn down for what is one of my marathon anthems. It must be in all my marathon playlists. I'm a huge proponent of spin for cross training. Plus you can practice your "sprinting" and other ish like you said, which is half the battle for me because I don't move so quickly. It's on Harry's playlist, too! Maybe it's time I throw it on mine. Yes! This! Cycling is such wonderful cross training for runners! You're working all of the same major muscle groups in the same plane of motion but with none of the impact. Great post, Tiffany! I tried spin ONCE at the gym (no longer belong to that gym lol) but I'll never do it again! It was the most painful experience I've ever had LOL! This makes my heart sad! I will teach you one day, and you will LOVE it! I just tired to reply and I'm not sure if it posted lol this is a great post. As a runner and Spinning instructor and I always trying to get fellow runners to cross-train with cycling! This is a great informative post. Indoor playing a vital role for all gymnastic related activities. This place is a good and affordable for get experience and learning from mistake. Hello,good to read out this new informative post. 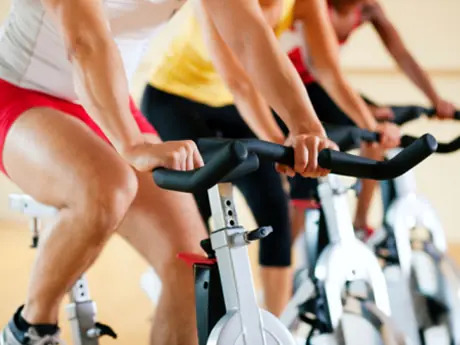 spinning door cycling is really good to build the leg muscle and also increase the potential of faster running. Thanks for the post.